Sweet Briar College, an all women’s institution in Virginia, has announced a new collaboration with Google to offer computer and data science courses to its undergraduate students. 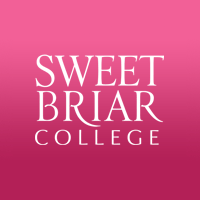 Sweet Briar is one of eight schools that Google has collaborated with to offer pilot courses this academic year. The program is designed to attract women students who might not consider themselves destined for a technology career. Participants will learn the foundations of computer and data science through hands-on, project-based coursework. Additionally, they will learn non-tech skills such as critical thinking, problem-solving, collaboration, communication, and networking. Google hopes to develop a system where each institution brings what it does best to the collaboration, with Google creating cutting-edge, industry-relevant content and projects; and colleges and universities providing experienced faculty and the best learning environment possible for their students. The first course at Sweet Briar, “Foundations of Python Programming,” is being offered this fall and is taught by award-winning math professor, Raina Robeva, with guidance from the Google Engineering Education team. The second course, “How to Think Like a Data Scientist,” will be offered in the spring.